You will find our 28 Garden View Rooms nestled among fragrant gardens and a variety of exotic plant species along the mountainside. 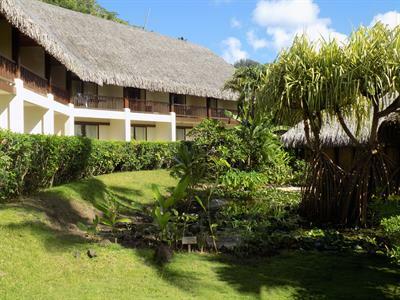 This French Polynesia accommodation is ideal if you come to Bora Bora on a limited budget, as you can enjoy quality facilities, a stay in complete privacy and spacious rooms without compromise. 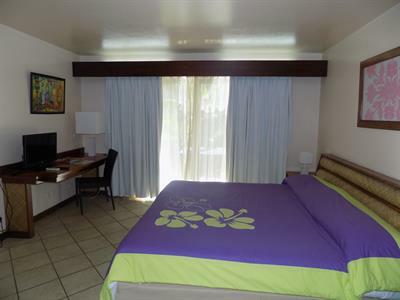 The Garden View Rooms at the Maitai Polynesia Bora Bora feature a large Italian-style bed or two single beds on request. 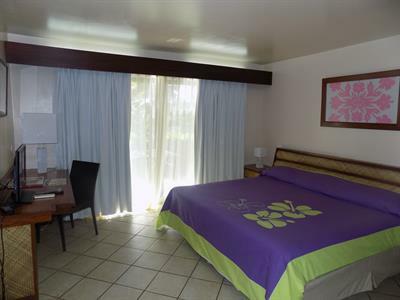 The bed will be beautifully decorated with fresh flowers upon your arrival, and maid service is provided daily. Some of our Garden View Rooms are equipped with a sofa bed that can accommodate an extra person or perhaps be used to simply relax. Baby beds are available free of charge and children under 12 years old can share their parents' room free of charge. 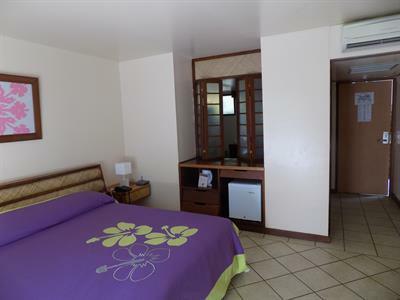 Other features available in Garden View Rooms include: writing table and chair, mini-bar, safe in the room for valuables, TV, spacious bathroom with separate toilet, complimentary toiletries provided, towels, air-conditioning.